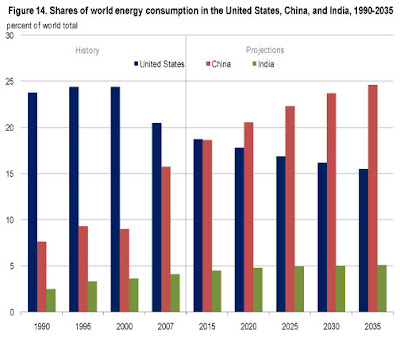 Currently the U.S. is the worlds largest user of energy. 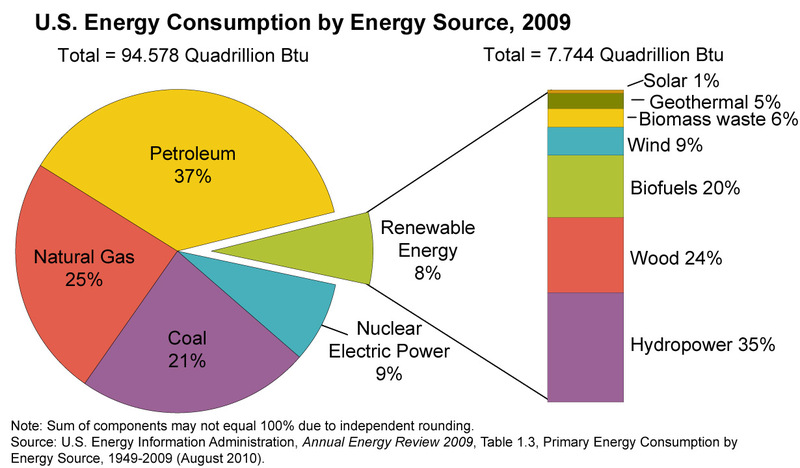 A variety of energy sources are used, but currently alternative sources meet only a small portion of the total demand. Looking at the flow of energy from its sources to its uses provides an interesting perspective. 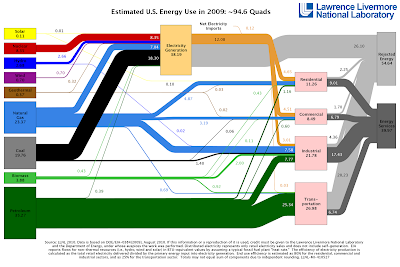 Transportation and electrical production consume a significant portion of inputs, however, there is significant waste. 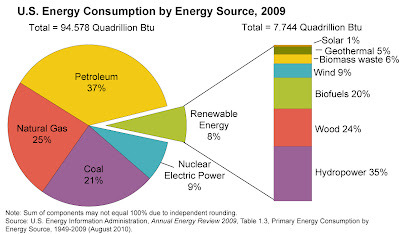 What is labeled as "Rejected Energy" in the picture below is waste in the form of electrical generating and distribution losses, waste heat and other inefficiencies. While less glamorous than building out new renewable sources, reducing systemic energy waste may ultimately yield larger benefits. 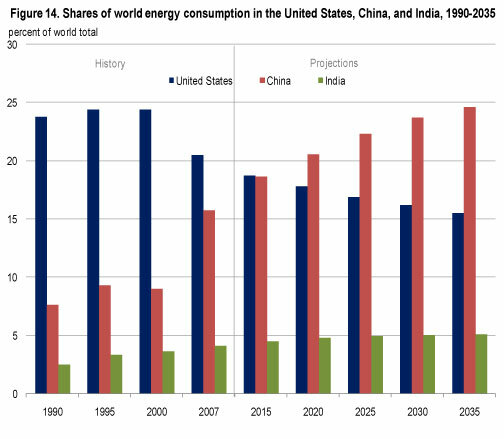 As the global economy grows the focus on alternatives and efficiency improvements need to shift towards the burgeoning economies of China and India, which together already consume more energy than the U.S.